The key components to running a successful real estate investment business begin with education, systems and coaching. Just as any home needs a strong foundation, the same is true for real estate education as it is designed to accelerate the learning curve associated with investment and starting a business, and can help to reduce the risks and costs associated with real estate investment, including uplift newer investors over the hurdles when first starting out. 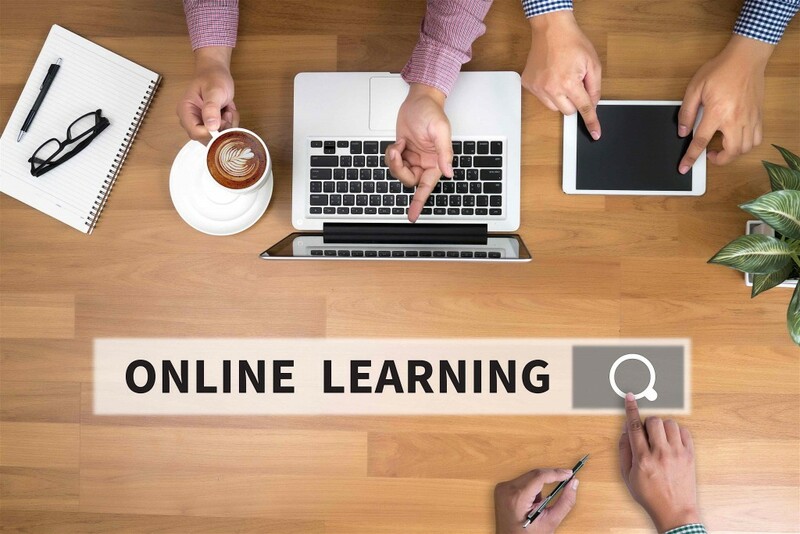 In today’s digital age, the Internet has unlocked a gateway of online real estate education courses and coaching programs to further guide potential investors in getting started. In addition, these online resources offer flexible schedules and a wide selection of courses and topics to learn about. Here we’ll navigate investors through the online real estate education space, as well as insight into educational, coaching and courses readily available. While the landscape of online real estate education is vast with many peaks and valleys, it’s tool that can transform ordinary investors into long-term business owners. Along with building a solid foundation, the benefits of a real estate education include helping investors to comprehend the ins and outs of real estate investment, including risk mitigation, as well as improving one’s bottom line. Online Education: From podcasts to YouTube videos, online real estate education can be found in almost any form. The most popular route for beginner investors, however, is through online courses. These classes, which will generally lay the groundwork for one’s real estate goals, as well provide knowledge into the intricacies of real estate investment, offer beginner investors convenience in their quest to pursue a career in real estate. Some online real estate education courses can also be used to obtain a real estate license. Online Coaching: Generally speaking, real estate coaching offers beginner investors specific strategies to achieve their goals. According to an Inman survey on real estate coaching, more than nine out of 10 respondents said they saw a return on investment working with coaches. In fact, more than half said the ROI exceeded 25 percent. “Without coaching, I would be 10 years behind and I would have spent millions of dollars doing the wrong thing,” says Jane Fairweather, a Coldwell Banker agent based in Maryland. While starting a real estate investing company is hard work, an online coach can provide accountability, observation, inspiration and encouragement for beginner investors. Before moving forward, it’s important for beginner investors to understand there are countless ways to get educated in real estate investment. However, these tools provides a seamless introduction to the world of investing in real estate, as well as the necessary resources to grow and excel. Establishing a proper real estate education is crucial for beginner investors and the right online resources can ensure it happens. My colleagues and I started FortuneBuilders because we are passionate about real estate and business, and wanted to provides beginner investors with the tools to reach their financial and personal goals by learning how to strategically invest in real estate. We created the company as our vehicle to share, teach and inspire investors everywhere. In addition, we designed our Master Coaching program to offer unparalleled support through one-on-one coaching and exclusive access to live training events. Online Networking: For beginner real estate investors, the Internet presents a tremendous opportunity to meet like-minded individuals. Sites like MeetUp.com as well as social media provide an open platform for people to discuss real estate news, ideas and events. In addition, real estate networking is another way to unlock referrals and leads, helping to grow your business little by little. Webinars: Webinars have become a terrific source for beginner investors as they provide live presentations, lectures, workshops and seminars over the web. The perks of utilizing webinars is the ability to give, receive and discuss information in real-time, which can be very beneficial for beginner investors. Podcasts: One of the best online real estate education resources to hit the scene is the podcast. These digital audio files, which are available on and offline, are great for continual learning as they provide investors with unlimited access to information. In addition, podcasts have the ability to share information and advice for other investors, including many experts across the nation, as well as insight into the world of investing. Online Programs: Not all online real estate programs are created the same. Our Mastery Coaching program is a community of investors, comprised of our most motivated students who are committed to learning, growing, reaching their full potential, and achieving financial freedom and time ownership in the process. The program combines coaching and support, training implementation and tools, and live events and boot camps to build long-term wealth. The online world of real estate investment is filled with an abundance of information and advice, including real estate apps to getting started. The key for beginner investors is to choose wisely when navigating the online real estate education space. Find a reliable source to utilize that fits your goals and dreams in real estate investment.